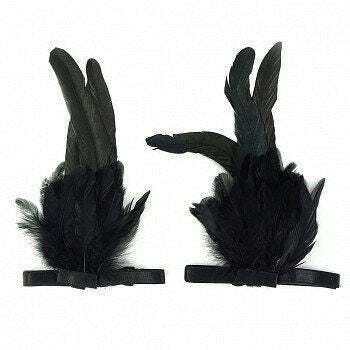 Feather Flare Cuffs are made with Rooster Coque Tails and Schlappen feathers and measure approximately 8-10 inches long. 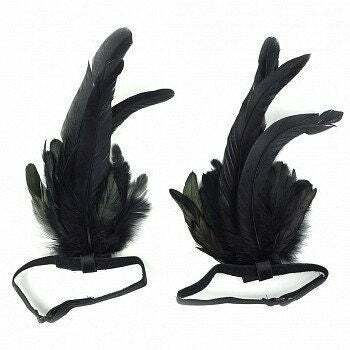 These pair of Feather Cuffs are made with an adjustable 15 inch long elastic band with velcro in order to fit to size. 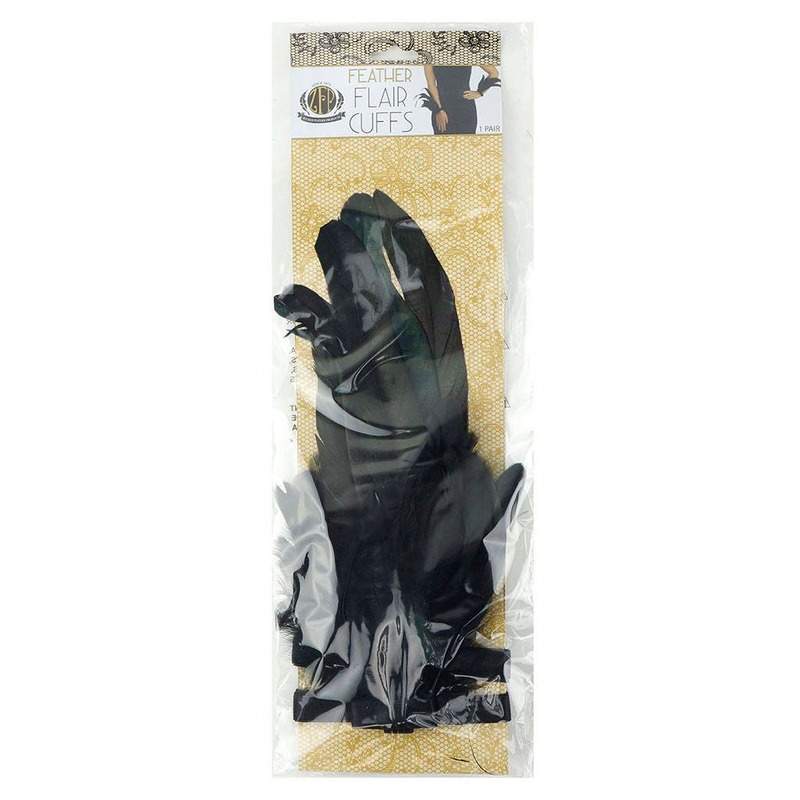 They can be worn around the wrists, forearms, biceps, ankles or just under the knee depending on what look you want to create. Wear just one to have a little fun. 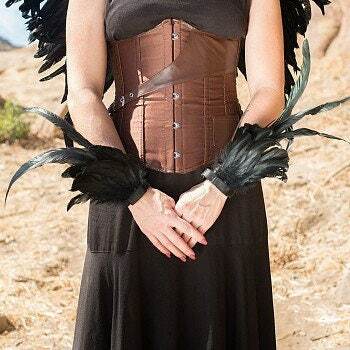 Or wear a pair for more feather flare!